While there are many different ways to lose weight even without a surgery, sometimes, this is the best available method. In a scenario where one has a severe metabolic problem, this is virtually the only way to regulate your weight. Sure, being overweight isn’t always a health issue but, in some extreme cases, it might become a serious problem. Moreover, the surgery is not nearly as bad as some may assume it to be and there are even some claims that suggest that there are long-term benefits to bariatric surgery patients. Now, before anyone starts talking about the downsides over the course of time, this one study surveyed people from 5 to 25 years after the surgery. Here, they established that it benefited not only their physical health but also their mental health, tremendously. Nonetheless, keep in mind that a weight-loss surgery is an umbrella term that could mean a number of things. With that in mind and without further ado, here are some of the most common types of weight-loss surgery. This particular surgery type consists of making a small pouch at the top of your stomach. As a result, this pouch becomes the only part of the stomach that actually receives food, which greatly limits the amount of food you can eat or drink at one time. This pouch is then directly connected to the small intestine which still benefits from digestive juices produced by the rest of the stomach. The way in which all of this works is fairly simple, the food bypasses a portion of your small intestine in its entirety, which means that your body absorbs fewer calories. Due to the fact that you probably already consumed more than you needed, this shouldn’t be an issue to begin with. One of the most popular weight-loss surgery options is definitely sleeve gastrectomy, which could be explained as the next step in the direction that the Roux-en-Y gastric bypass set. Namely, the stomach gets separated and one part remains in the body, formed into a tube-like structure, while the other part gets completely removed. A properly made gastric sleeve is something that will not only reduce the amount of food you can hold but also reduce your appetite. This means that such a method has the power to solve your problem once and for all and cause a much lower toll on your mental state than one would expect. This particular method seems like the least extreme of the bunch, due to the fact that it doesn’t really affect the number of calories or nutrients you can absorb but only the amount of food you can eat in order to feel full. The way in which works is quite simple, an adjustable inflatable balloon gets installed inside of your stomach and, with the injection of fluid or its extraction through the port, the balloon can be adjusted to the desired size. This helps it achieve the effect we earlier spoke of. This is also one of rare weight loss surgeries where you keep the privilege of changing things long after the procedure is done. Lastly, this surgery also consists of a surgical removal of the part of your stomach. 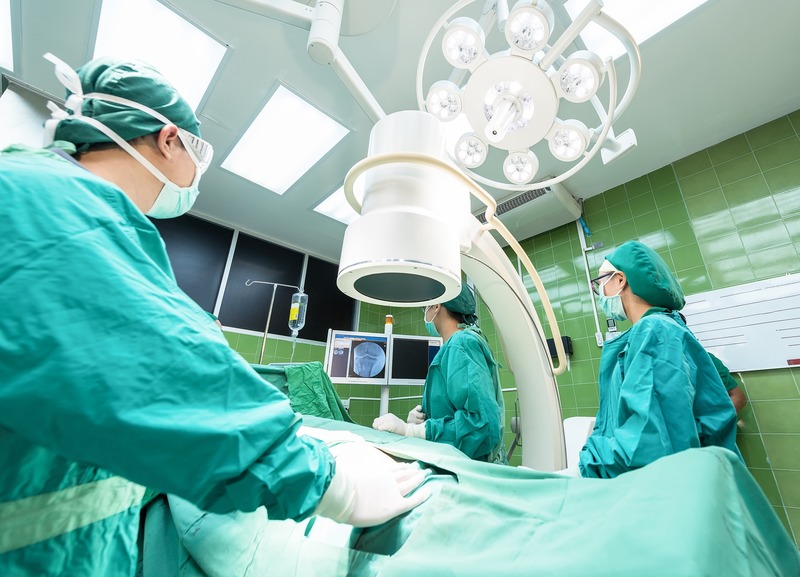 The reason why this surgery has the term duodenal switch in its name is due to the fact that the first part of the small intestine (called the duodenum) remains intact. From here, the surgery proceeds to attach the middle part of the intestine, directly attaching the last part to the duodenum. The major difference lies in the fact that the middle section isn’t just removed from the body but reattached so that the juices it produces may continue to benefit the intestine as a whole. Needless to say, this is where the term biliopancreatic diversion comes from and, as a result, your stomach gets significantly smaller. A word of caution, a surgery is definitely not the first thing you should try out. Try talking to a nutritionist, a fitness instructor, a friend who has recently lost a lot of weight and, of course, your doctor beforehand. Still, there are definitely scenarios where this is the best possible solution. There’s no denying it that the food has the ability to cause an addiction and that some people have conditions which prevent them from exercising, sleeping and eating regularly. For these people, there’s really no other choice. This is exactly why it’s good that you get acquainted with these several methods and realize that they aren’t as scary as some may believe them to be. Sometimes, you need to take some extreme measures in order to improve your health and quality of lifestyle in the long run.